The major Hawaii parades are held on the island of Oahu. 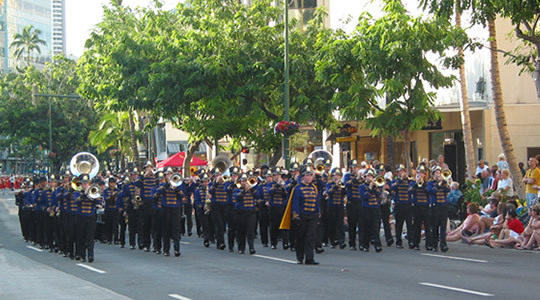 Hawaii Music Festivals ® can arrange for marching bands to participate in these parades. Dr. Martin Luther King, Jr. Parade - The parade starts at Ala Moana Park and passes through Waikiki and ends at Kapiolani Park. St. Patrick's Day Parade - The parade is held on St. Patricks Day. It starts at Saratoga Avenue and passes through Waikiki and ends at Kapiolani Park. Participants include marching bands, bagpipers, floats and lots of Sons and Daughters of Ireland. 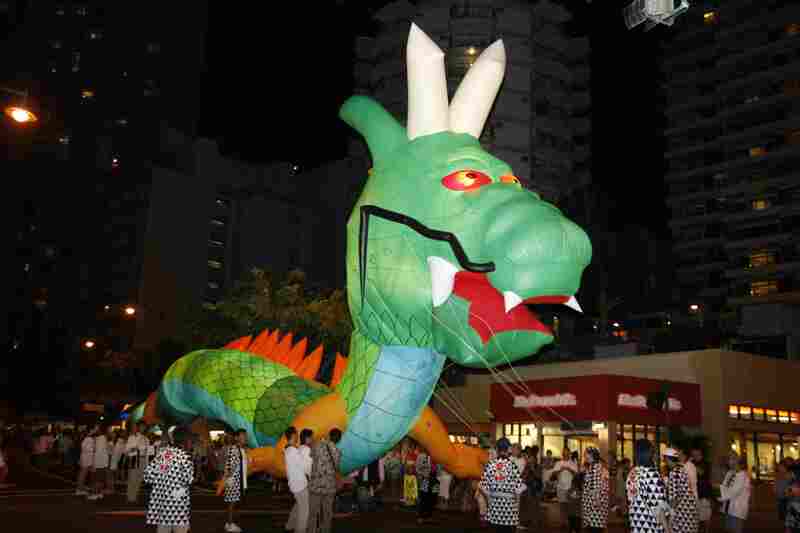 The 26th Annual Honolulu Festival Grand Parade will be held on Sunday, March 8, 2020. 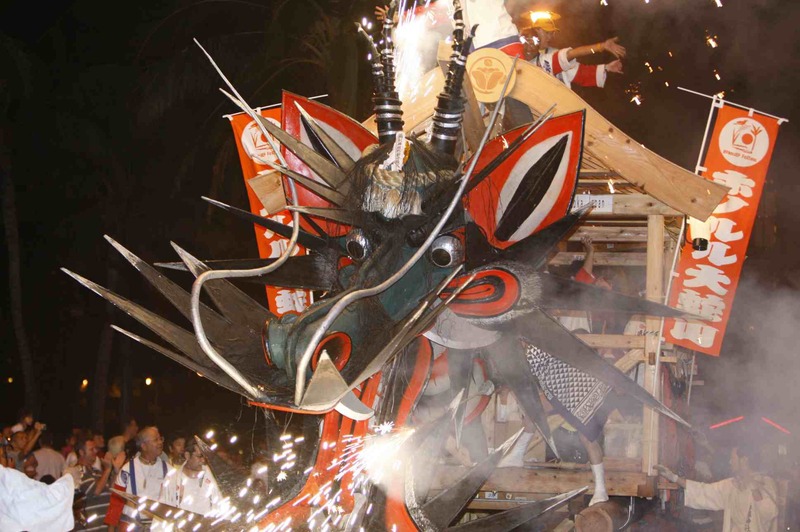 The parade is the highlight of the three-day Honolulu Festival which is the premier cultural event in Hawaii. The grand parade is held on the last day of the weekend. The parade features marching bands, drum & bugle corps, color guards, cheer and dance teams, thousands of performers, and world-class floats. Bands from Hawaii, the United States mainland and foreign countries are invited to participate and compete for the unique trophies that will be awarded to the best performing groups. More than 40,000 spectators line the parade route which begins at Ft. DeRussy, passes through Waikiki and ends at Kapiolani Park. This parade is currently considered the best parade in the State of Hawaii. Prince Kuhio Commemoration Parade -The parade starts at Ft. DeRussy and passes through Waikiki and ends at Kapiolani Park. It is part of a month long celebration commemorating Prince Kuhio. 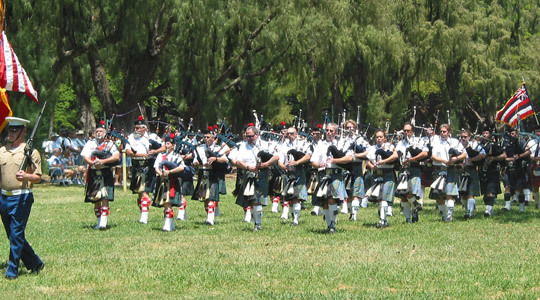 Hawaiian Scottish Festival-The two day event will feature the Celtic Pipes and Drums of Hawaii, Celtic Waves, Royal Scottish Country Dance Society, Society for Creative Anachronism, The Royal Hawaiian Band and other bands and choirs from the US Mainland. 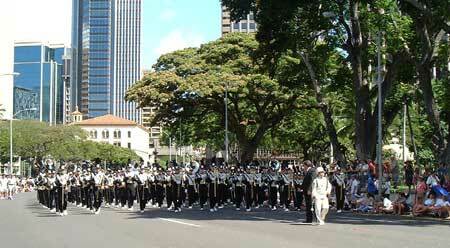 King Kamehameha Day Parade - The parade starts at Ft. DeRussy and ends in downtown Honolulu. Pan-Pacific Festival Parade - This parade is held on the same weekend as the King Kamehameha Day Parade. It is a Japanese cultural parade with marching bands and cultural floats. It starts at Ft. DeRussy, passes through Waikiki and ends at Kapiolani Park. There are many other smaller parades in Hawaii including community parades but the list above covers only the major parades. Aloha Festivals Floral Parade -The parade will includes pa'u riders, floral floats, hula dancers and marching bands. The parade begins at Ala Moana Park and ends at Kapiolani Park. Pearl Harbor Memorial Parade � The parade will commemorate the Anniversary of the Arizona Memorial. 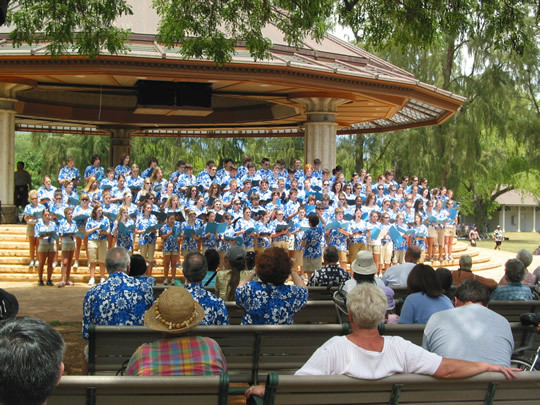 It starts at Ft. DeRussy, passes through Waikiki and ends at the Waikiki Shell.